Many people ask me, so how is Mexico City? Is the city safe? Is the city fun? And is Mexico City really one of the best cities in the world? 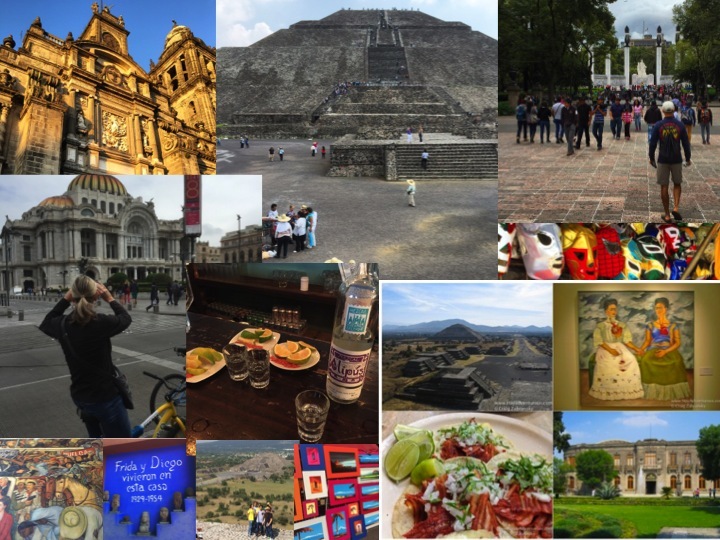 There was a time when I essentially called Mexico City home for 16 months and it didn’t take long after my arrival to realize I stumbled upon one of the world’s greatest cities of 20+ million that no one really knows or even thinks to visit. Now even after the New York Times ranked the metropolis as the #1, yes the TOP destination to visit in 2016, has the city moved up on people’s radar. Yet, it still remains a relatively unknown destination and an often underappreciated city. Then after fielding questions about the capital and even inquiries about a tour of the city with me, I created Stay AdvenTours. I decided to take people to Mexico City and showcase this amazing destination. The first trip was completed last fall and I plan to do it again this October. Mexico is a diverse country and offers so much to all types of travelers. As the heart beat of the nation, the capital city, is place for people to appreciate art, architecture, history, culture, cuisine, and a vibrant nightlife – It’s one of my favorite cities and makes for a perfect long weekend. Join me in Mexico City. This video is a compilation of the 6 second vine videos (find me @stayadventurous on vine) I captured quickly when leading the tour. All videos were shot “on the fly,” with no acting or posing; this is live, raw footage from the tour itself last year. Beside realizing it is done in real time, here are a few other things to keep in mind from the video…. The trip might seem quick as it only provides tiny snippets and give an impression that we don’t spend enough time at certain sites or attractions. With Stay AdvenTours we take it slow, the itinerary was crafted to allow the traveler the chance to see a lot, but more importantly to really see what s/he sees; to enable the traveler to enjoy the destination. Dinner is shown, but there is free time and opportunity to experience the nightlife of Mexico City. Much of this comes from the travelers personal choices therefore, I didn’t showcase it or video it. I provide options and recommendations on places to dance, listen to music or even sing mariachi. Also, if you want to test your tequila tolerance I have you covered on where to go too. I did take audio for a future Staying Adventurous Podcast about the trip (2017 release) and performed a post trip evaluation, but I didn’t take video and ask simple questions about what the participants thought. So I wanted to include a few below comments below. Hope this helps, and provides you insight to visiting Mexico City and specifically the Stay AdvenTours Mexico City adventure.Take a look at pricing, let me know your questions and visit Stay AdvenTours Mexico City. 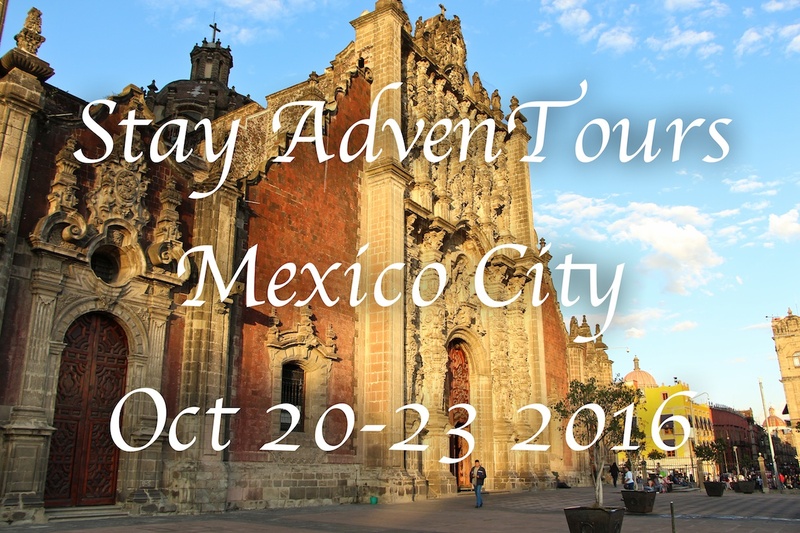 to book your next great adventure – Mexico City. If you have questions, please ask questions in the comments section and also feel free to send any inquires, questions or comments to craig@stayAdventuorus.com. I run these tours in conjunction with Tia Stephanie Tours. Wow, do let me know, it will be a great and memorable adventure for sure…. Viva! Looks like a great tour for those lucky enough to have time in Oct. Thanks Bill…. appreciate it and the support. Viva Mexico ! I would love, love, love to go to Mexico City with you. I still can’t believe I’ve never been. Such a shame, because it looks to be an incredible city. And, well, MEXICO! I know your passion for Mexico is genuine. One of these days when I return to Mexico (and I would love to visit Mexico City) I’d want you leading the way.